Star Wars: The Last Jedi, the HQ Trivia app, and internet memes. Slate’s Culture Gabfest on Star Wars: The Last Jedi, the HQ Trivia app, and internet memes. 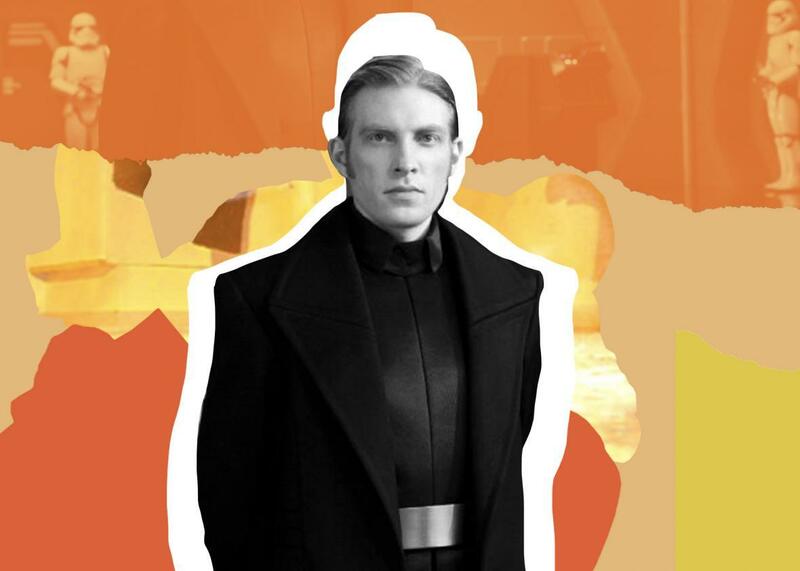 Domhnall Gleeson in Star Wars: The Last Jedi. Photo illustration by Slate. Photo by Lucasfilm. Listen to Culture Gabfest No. 483 with Stephen Metcalf, Dana Stevens, and Julia Turner with the audio player below. And join the lively conversation on the Culturefest Facebook page. On this week’s Slate Plus, Stephen, Dana, and Julia answer a listener’s question about how the show is recorded and produced. Go to slate.com/cultureplus to learn more about Slate Plus and join today. This week, the critics discuss the latest installment in the Star Wars franchise, The Last Jedi, directed by Rian Johnson. They dig into its stunning visuals, examine how it fits into the wider Star Wars universe, and unpack the online backlash to the film. Then, Slate’s culture editor, Forrest Wickman, joins the conversation to talk about the new trivia app HQ Trivia and its live game-show style. Finally, the gabbers discuss internet memes, what gives some of them such longevity, and how they influence cultural discourse. This podcast was produced by Benjamin Frisch. Our production assistant is Daniel Schroeder. Follow us on Twitter. And please like the Culture Gabfest on Facebook.